The Supreme Court in City of Marion v WC Projects Pty Ltd has recently overturned a decision of a Commissioner of the ERD Court to grant development plan consent for a student accommodation facility. It is the first time that a higher Court has considered the nature of “student accommodation” use in South Australia. 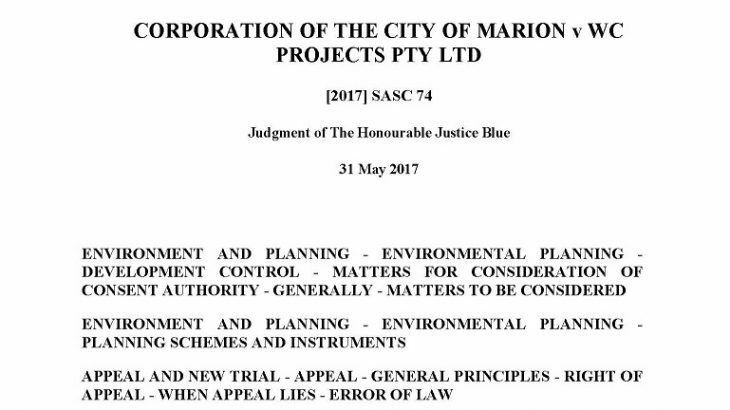 In reaching its decision in setting aside the development plan consent granted by the Commissioner, the Court also made findings about the meaning of the term “student accommodation” as it was used in the City of Marion Development Plan. The developer, WC Projects Pty Ltd had applied to the Council to establish a facility at Sturt Road, Seacombe Gardens, which took the physical form of eight, self-contained dwellings within three residential flat buildings, together with a common laundry, car parking and landscaping, to be used and occupied exclusively by students. The ERD Court Commissioner determined that whilst the proposed development involved less dwelling site area, less dwelling private open space and less car parking than specified for residential flat buildings in the Development Plan, those provisions were to be afforded less weight for a facility proposed to be used for the exclusive purpose of accommodation by students. The Supreme Court rejected the Commissioner’s approach to the assessment and found that it involved an error of law. The judge found that the use of the term “student accommodation” in the City of Marion Development Plan was a reference to a form of accommodation that is not a conventional dwelling but rather, a form of special purpose accommodation specially adapted to the needs of students, such as a boarding house or similar. The Court found that the Commissioner was not justified in finding the departures from the residential flat building provisions to be acceptable simply on the basis of the use of the facility for accommodation by students. In particular, the Court found that there was nothing about the design of the buildings (being in the form of eight individual dwellings in three residential flat buildings) which made them fit for students and unfit for use by other members of the population. As a result of that finding, the Court also found that conditions limiting the use of the buildings by students might artificially constrain the development from being used in their natural or ordinary way. The judgment provides useful guidance from a higher Court about the nature and design of student accommodation facilities in South Australia. In our view, the Court’s judgment highlights the need for clearer state-wide policies for “student accommodation” developments, either in future regulations under the Planning, Development and Infrastructure Act 2016 or the future Planning and Design Code. 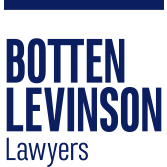 For further information about this judgment, please contact James Levinson or Tom Crompton on 8212 9777.